- WWF Showdown at Shea '80 (August 9) = Estrada was beaten by Angel Marvilla. - WWF/NWA Title Unification (September 22, '80) = Estrada fell to Les Thornton. - WWC 10th Anniversary Show (September 17, '83) = The Super Medicos retained the WWC World & Caribbean Tag-Team Titles, defeating Chief Thundercloud & Chuy. 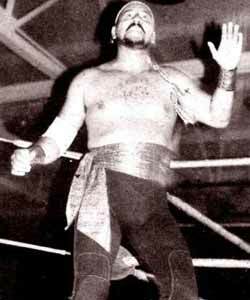 - WWC 11th Anniversary Show (September 15, '84) = The Super Medicos lost to Wahoo McDaniel & the Youngbloods. 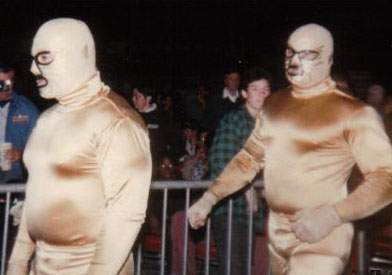 - WWC WWC Tag Team Title Tournament (June 29, '86) = Super Medico I & El Monarco lost in the first round to Chicky & Ron Starr. The Rock-n-Roll RPMs won the tournament. - WWF Survivor Series '88 (November 24) = The Conquistadors (Estrada Sr(Uno) & Jose Luis Rivera(Dos)), the Bolsheviks, the Brain Busters, Demolition, & the Fabulous Rougeau Brothers fought in a "Team Elimination" Match against the British Bulldogs, the Hart Foundation, the Powers of Pain, the Rockers, & the Young Stallions. The Conquistadors were eliminated by the Powers of Pain, who were the sole 'survivors'. - WWC 16th Anniversary Show (October 7, '89) = Super Medico I stayed the WWC World Junior Heavyweight Champion, taking down El Gran Mendoza. - WWC 17th Anniversary Show (July 7, '90) = The Super Medicos (Estrada Sr & Estrada Jr) kept the WWC World Tag-Team Titles, beating the Fabulous Rougeau Brothers.